The Movie Soundtrack Featuring the Songs of ABBA. By ABBA. Easy Piano Songbook. Movies, Pop, Disco. Softcover. 98 pages. Published by Hal Leonard (HL.280954). 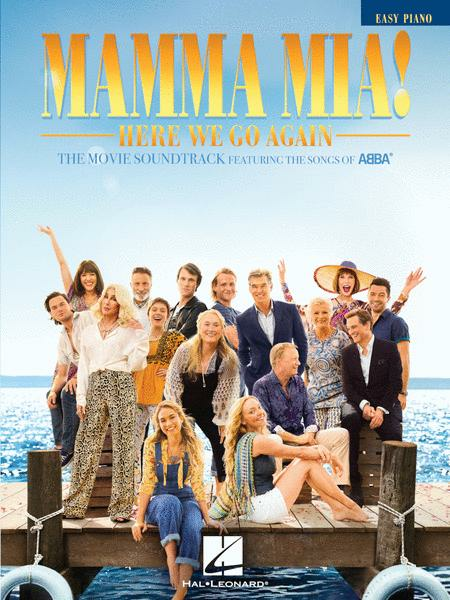 This 2018 sequel/prequel to the popular 2008 film of the same name again features the music of '70s pop sensation ABBA. Our matching songbook includes the songs: Andante, Andante • Angel Eyes • Dancing Queen • Day Before You Came • Fernando • I Have a Dream • I Wonder (Departure) • I've Been Waiting for You • Kisses of Fire • Knowing Me, Knowing You • Mamma Mia • My Love My Life • The Name of the Game • One of Us • Super Trouper • Waterloo • When I Kissed the Teacher • Why Did It Have to Be Me? A fan of ABBA, I wanted to be able to play some of the songs from this movie. Love the selections. No Money, Money song but love all the others.